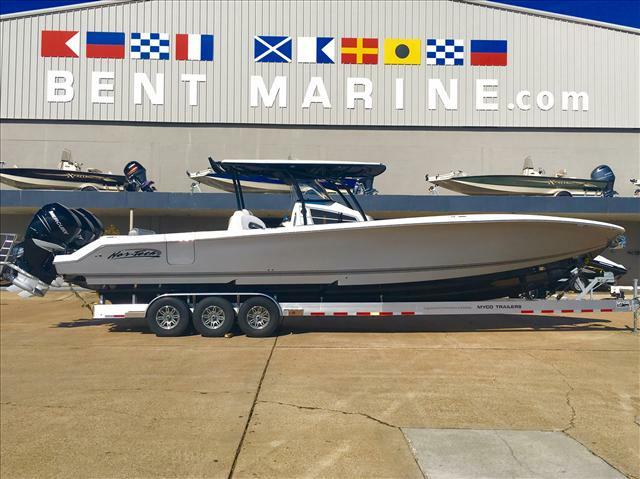 2017 Nor-Tech Boats 392 Super Fish, In stock and available now! The most capable center console on the market to date The Nor-Tech 392 Super Fish Hybrid! Equipped for any type of offshore fishing you are looking to do! Powered by Yamaha F350 with a range of close to 600 miles making it one of the most fuel efficient center consoles on the market. This boat is loaded with an electronics package from Garmin including 2 7616 head units with GSD26 sounder thru hull chirp transducer, open array radar, and vhf 200. 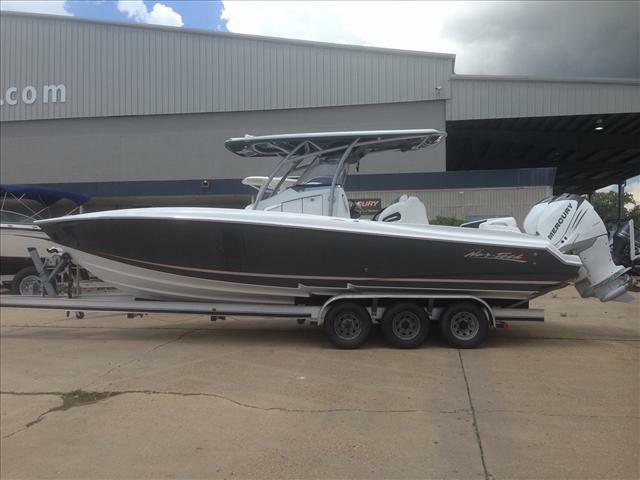 Additional features included are the Sport console with sun lounger and birth below with 12v A/C and A/C vents at the helm, Helm seats with dual flip up bolsters with tackle storage and cooler with seating when towing baits, sea chest livewell management system with 4 high speed pickups and 4 2000gph pumps feeding the twin 60 gallon livewells and dual tuna tubes, rigid LEDs throughout the entire boat including the floor lockers, Fusion stereo with 10 JL speakers 2 subs and JL amps, removable observation tower, and removable seating with backrest over the livewells just to name a few! 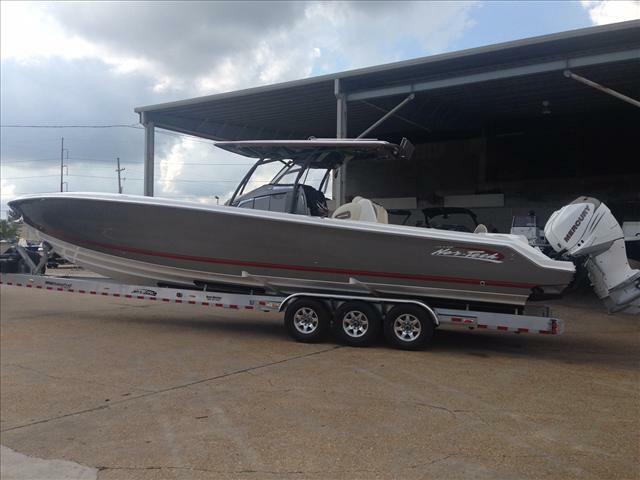 Not only is this boat an amazing fishing machine but it can make for a great day on the water with family the added seating also adds the element to accommodate large crowds making the boat awesome for poker runs as well ! Give us a call or come by and see this incredible machine today! 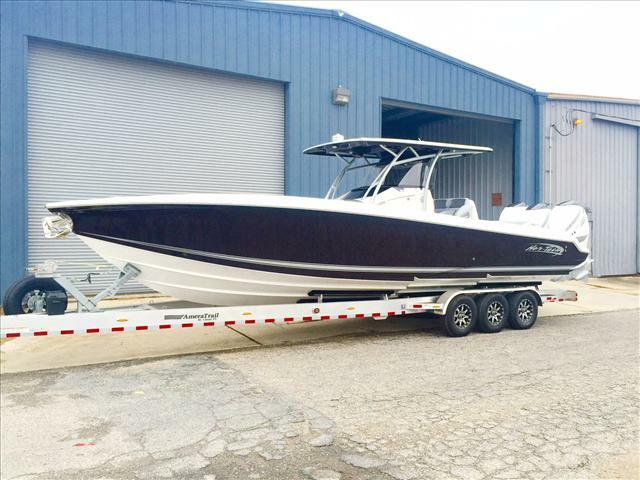 2015 Nor-Tech Boats Center Conslole 340 Sport, This beautiful Nor-Tech 340 Sport is nicely equipped and ready for the water. With dual Garmin 8212's GSD22 sounder with shoot thru 600kw transducer, Garmin VHF, Premium JL sound system with Fusion 700 head unit. The Midnight Amethyst hull color make this boat a real head turner on the water! 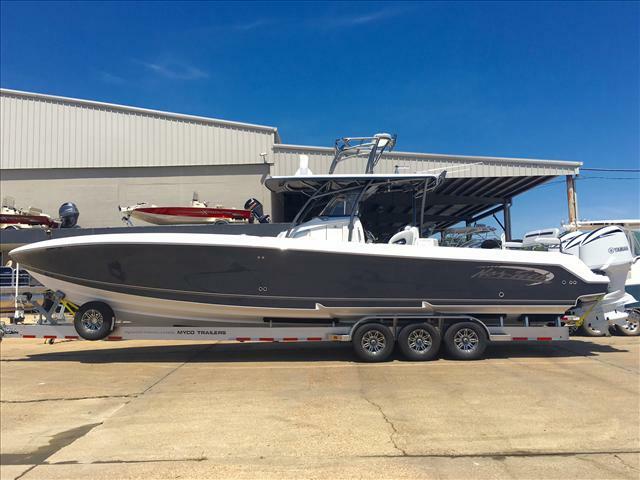 2015 Nor-Tech Boats Sport 390 Sport, If you are looking for the best all around center console on the market then look no further than the Nor-Tech 390 Sport Open. We have combined the perfect blend of features, comfort and luxury to satisfy anyone looking to cruise, entertain or dive and plenty of fishing amenities for the serious angler. The 390 has even become a popular choice for yacht owners to be used as a towing tender. Give us a call today for a complete list of details and options!